Yesterday I felt like the color beige: joyless. I was feeling sorry for myself. I was mad that I had cancer, a terminal cancer which no one had even heard of: Peritoneal Mesothelioma. WTF?! I was feeling depressed about how the cancer had affected my body. And I was feeling pressurized by the Positive Thinking Cancer Crew: “Live life to the fullest!” “Make the most of each day!” “Live in gratitude!” F*ck off! Then I looked over at my vintage dresser, (painted fuchsia – my poor boyfriend, lol! 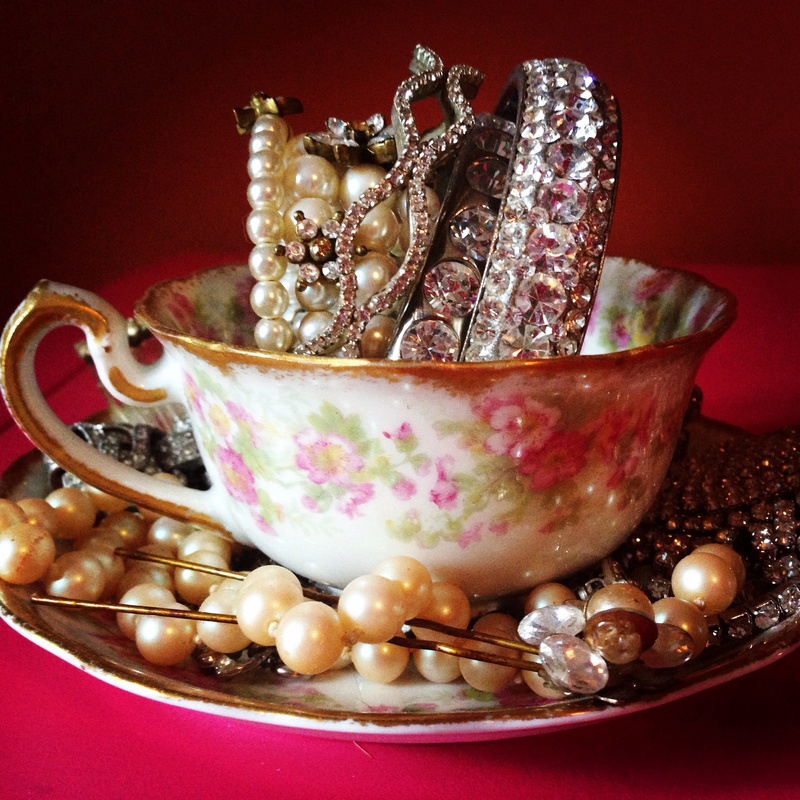 ), and I saw my Sparkle filled vintage tea cup. It made me happy, it really did. So I took a picture. The sparkle zapped the wretched Beige out of my system & suddenly I did feel grateful for everything: my life, my partner, my dog, my family & friends…All I needed was a little Sparkle!